Peter N. Zogas is a graduate of Holy Cross College and Albany Law School of Union University. 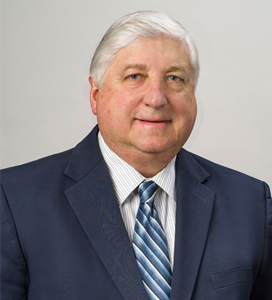 Prior to joining the Firm, Mr. Zogas was a partner with Wingate Kearney & Cullen, LLP where he headed the firm’s Financial Services Department. Mr. Zogas concentrates in counseling bank, not-for-profit and corporate clients in structuring and closing loan transactions secured by multi-family, commercial, hospitality and residential properties, and the restructuring of existing real estate-based credit facilities for the commercial and retail banking divisions of the firm’s bank clients. Mr. Zogas frequently presents legal seminars to relationship managers and credit officers of financial institutions and continually provides assistance and guidance to lending groups regarding the structure and administration of both commercial and residential facilities. Mr. Zogas is a Director and past President of the Holy Cross College Alumni Association of Long Island has been honored as the Association’s “Crusader of the Year.” He is also a member of the Alumni Senate of the Holy Cross General Alumni Association. In 2007, Mr. Zogas was named “Attorney of the Year” by Long Island Development Corporation in recognition of his support of Economic Development on Long Island. Mr. Zogas is a member of the New York State Bar Association and is a past chairman of the Real Estate Committee of the Brooklyn Bar Association. He is admitted to practice before the following Courts: New York State; U.S. District Court, Southern District of New York; U.S. District Court, Eastern District of New York; and the U.S. Supreme Court. Since 1996, Mr. Zogas has continuously maintained the AV Preeminent Rating, which is Martindale-Hubbell’s highest possible rating for both ethical standards and legal ability.